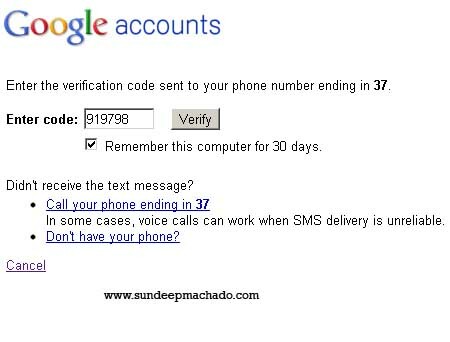 Google has an additional security feature called 2-step verification which requires a user to enter a code when logging to a Google account. 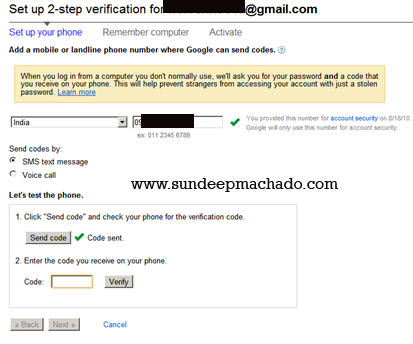 This code is sent to a user on his / her cell phone. 4. Click on the Send code button. You will receive a code via SMS. Enter it in the input provided for Code and click Next Button.